The above info came from Sonia Ashraf, and was edited by yours truly (contact me). 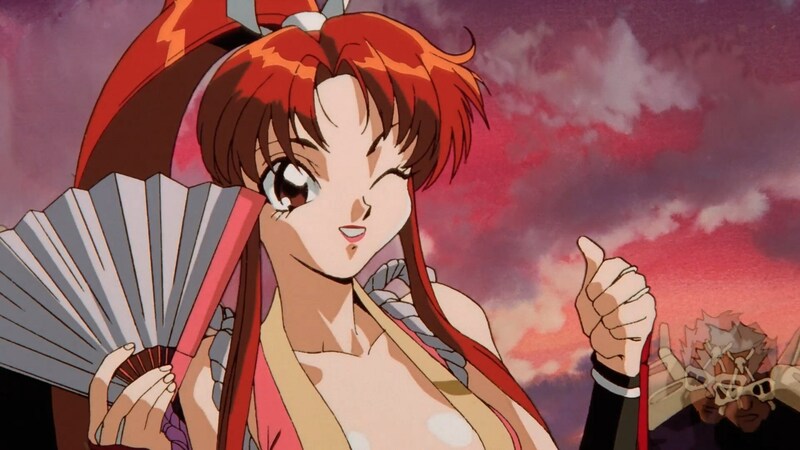 Mai made her anime debut in Fatal Fury OVA II . She pouts, bounces, and tries to get Andy's attention, but is ignored since Andy is preoccupied with worry for his brother Terry). She gets into a fight with Lawrence Blood, and Andy, of course, rescues her and carries her away to safety while she giggles and wraps herself around him (the cutest scene in the anime). And that's all she does... she really doesn't do much else in this OVA. 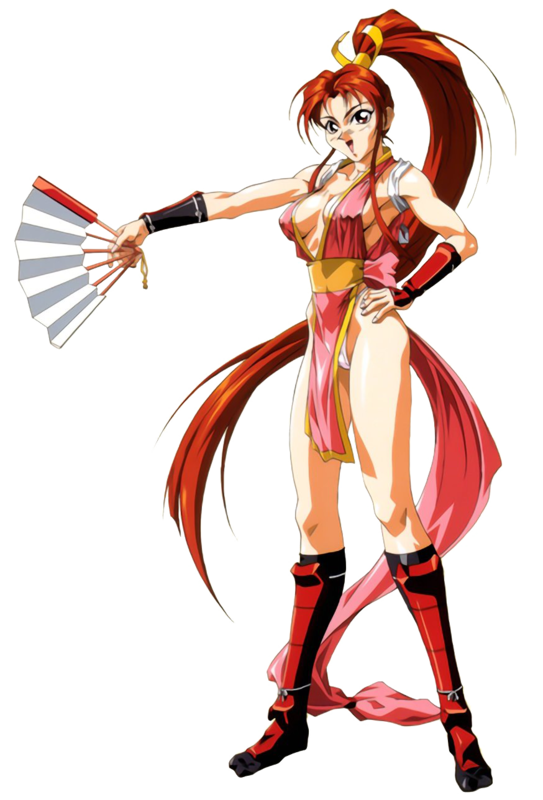 She has a slightly bigger part in Fatal Fury: The Motion Picture . The easiest way to follow her through the movie is by her change of clothing. 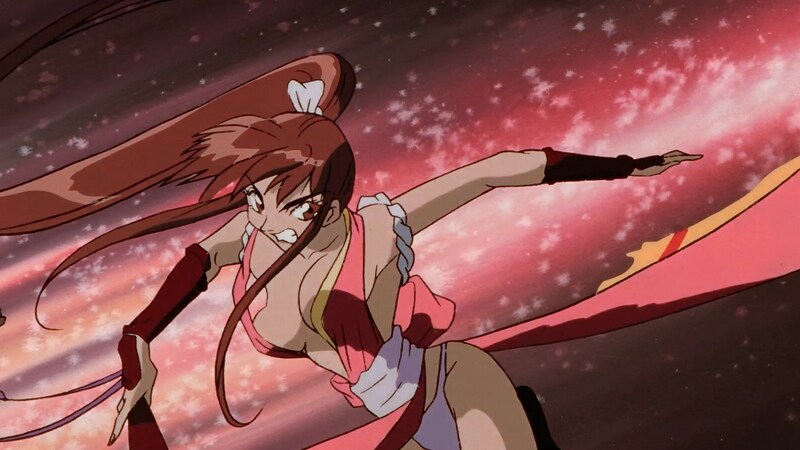 Once the God Armor is assembled, Mai jumps into battle, doing her best to help despite Terry's request that she stay out of battle. 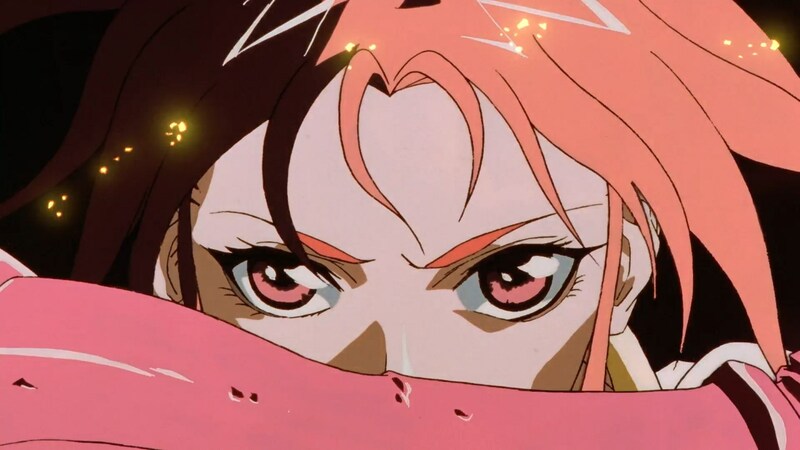 Andy saves Mai from Laocorn Gaudeamus when she gets injured, then almost sacrifices his life to save her when the God Armor goes out of control... but Laocorn's final selfless act saves the two of them at the cost of his own life. Mai's got a style all her own. She is upbeat and bright, and relentlessly chases after Andy. Andy's usually pretty tough and calm, but when Mai is around, he gets totally flustered and manages to contort his face into the funniest expressions. Animerica magazine summarized it best by saying "The only time Andy loses his cool is when the lovely Mai is in peril or turns on the sugar." 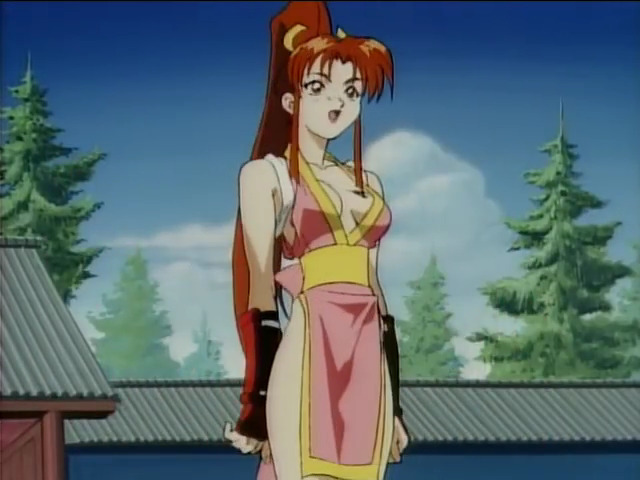 Even though Mai is a good fighter in her own right (as a Shiranui ninja), she seems to always get in trouble. The reason is because she wants Andy to come to rescue her. 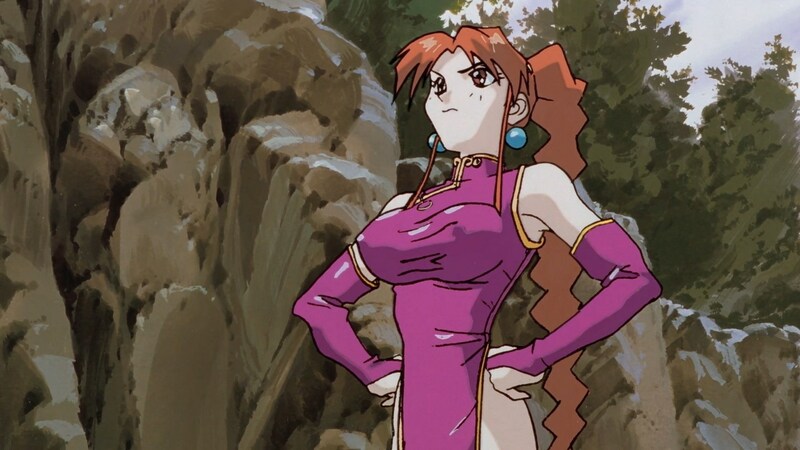 Mai is very cheerful, gravity defying, and not too smart... but always devastatingly beautiful and a tough and effective fighter. And she knows how to keep Andy in line. The above description came from Sonia Ashraf, and was edited by yours truly (contact me).